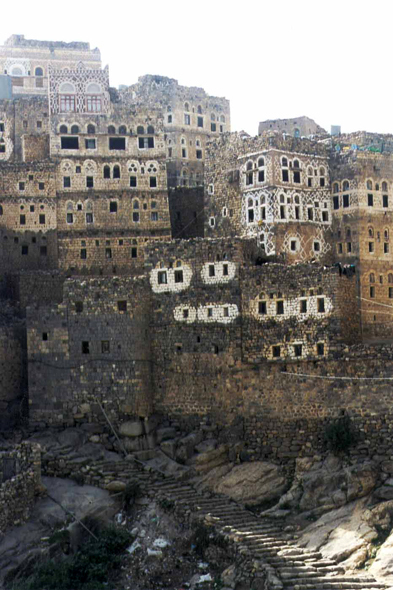 Windows and their stained glasses form the element more striking, if not essential, of the Yemeni frontages. Contrary to other Moslem countries, the houses here open on outside and are largely bored by windows. In a very precise hierarchy of the openings: the more the house rises, the more they are many, broad and decorated.